For many years collaboration between the USFWS and its partners have worked to restore Atlantic salmon habitat throughout the state of Maine. In particular, one of the Service’s partners, Project SHARE was established with a mission to restore habitat in Atlantic salmon watersheds in Downeast Maine. Since its inception, USFWS has been an active stakeholder member in all levels of SHARE’s activities. USFWS staff involvement goes well beyond the definition of “technical assistance”. USFWS staff from the Maine Fishery Resources Office, Gulf of Maine Program, the Maine Ecological Service Office and National Wildlife Refuge System are active team members of SHARE’s outreach and habitat restoration program. In 2014, USFWS involvement in SHARE’s habitat restoration program rose to a new level. It began in 2012 when Steven Koenig, SHARE’s Executive Director, was asked to provide technical assistance and project management for the removal of five impoundments at Moosehorn National Wildlife Refuge. The Refuge provided heavy equipment and staff to successfully remove the impoundments and several road/stream crossings at a considerable cost savings to the Refuge. During a site inspection of the completed Moosehorn projects, Refuge Manager Bill Kolodnicki was asked a simple question: Would Moosehorn National Wildlife Refuge be interested in assisting with habitat restoration projects outside of the Refuge? Bill’s answer was an enthusiastic yes, spawning a new level of USFWS collaboration with focused habitat restoration in the Downeast Rivers. 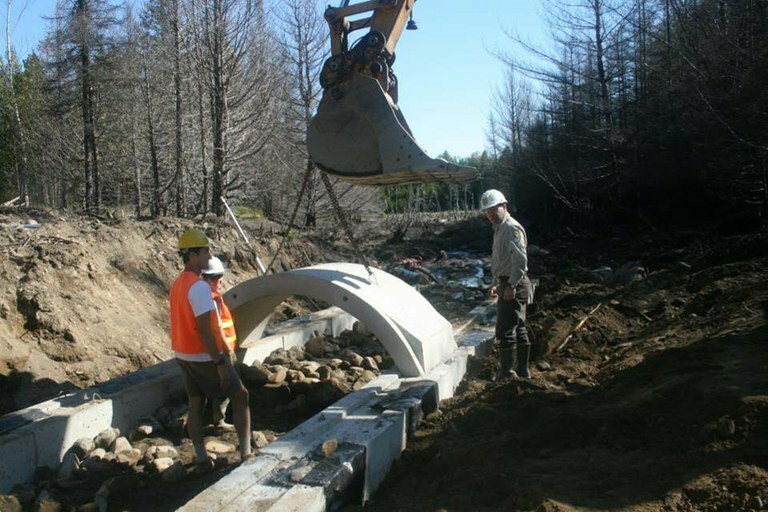 During the summer of 2014, Moosehorn and Aroostook National Wildlife Refuges provided staff (Mike Krug, Brandon Harriman and Kirk Cote) and heavy equipment to assist with the installation of two 8’ wide (52’ long) open bottom arches and complete removal of culverts at 4 other locations within project SHARE’s restoration focus areas in the Narraguagus and East Machias Rivers. The USFWS Maine Fishery Resources Office provided technical assistance and on-site project management. Funders included USFWS, NOAA, and landowner contributions. 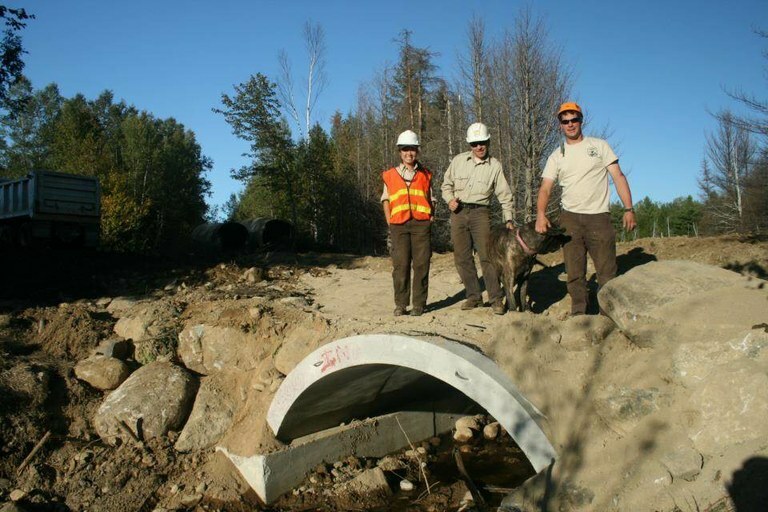 The “finishing touches” on the East Machias site were provided by University of Maine at Machias students who assisted with post-construction monitoring and erosion control. The success of the projects are the result of many stakeholder contributions.